Published February 19, 2015 at 2048 × 1366 in Mardi Gras memories: The five best things about carnival season at Tulane Law. 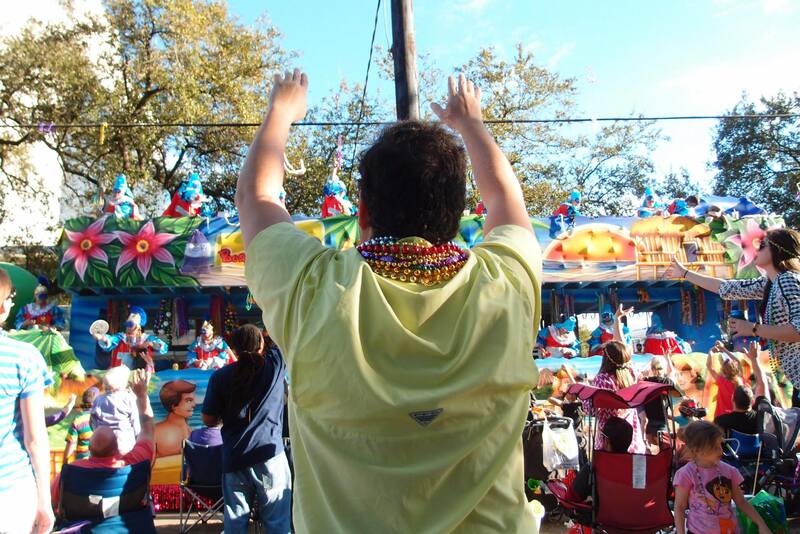 Joaquin de Obarrio (LLM ’15) aims to catch beads along St. Charles Avenue. Photo by Dennis Zhao.